Genuine OEM HP Toner Cartridge, Black, 2,200 page yield. 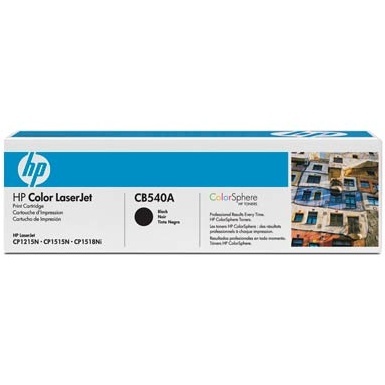 HP part number: CB540A, 125A Black. Laser Toner Cartridge compatible with HP LaserJet CM1300, CM1312, CP1210, CP1215, CP1217, CP1510, CP1515, CP1518ni.